In this work, we examine effects of large permanent charges on ionic flow through ion channels based on a quasi-one-dimensional Poisson–Nernst–Planck model. It turns out that large positive permanent charges inhibit the flux of cation as expected, but strikingly, as the transmembrane electrochemical potential for anion increases in a particular way, the flux of anion decreases. The latter phenomenon was observed experimentally but the cause seemed to be unclear. 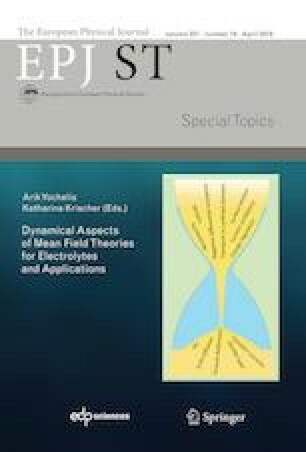 The mechanisms for these phenomena are examined with the help of the profiles of the ionic concentrations, electric fields and electrochemical potentials. The underlying reasons for the near zero flux of cation and for the decreasing flux of anion with the increasing of its transmembrane electrochemical potential are shown to be significantly different over different regions of the permanent charge. Our model is oversimplified. More structural detail and more correlations between ions can and should be included. But the basic finding seems striking and important and deserving of further investigation.